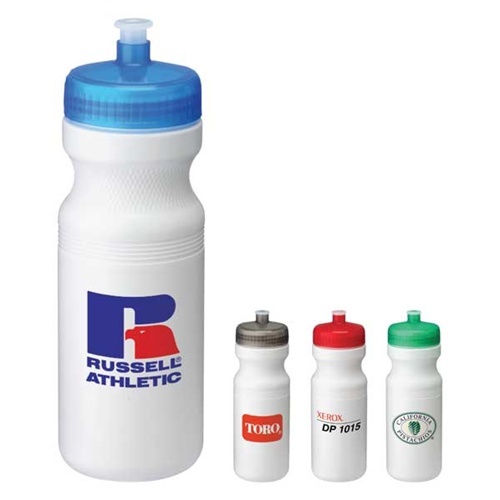 Personalized Easy Squeezy Sport Bottle 24oz is made from polypropylene material. 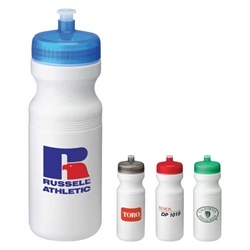 Custom Sports Bottle comes with biodegradable bottle and twist-on lid. Personalized Easy Squeezy Sport Bottle 24oz is available in 4 colors: Translucent Black, Translucent Blue, Translucent Green, and Translucent Red.